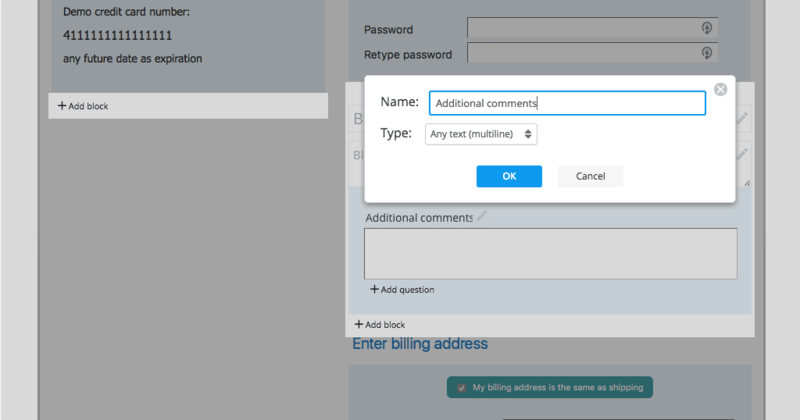 Easily add your own fields to checkout form. Note: This app is compatible with the legacy checkout design of Ecwid stores only. 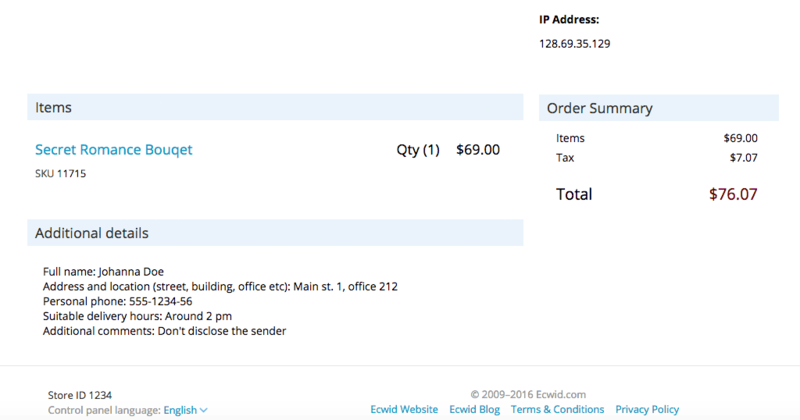 Add custom fields to your checkout form with a handy visual editor. 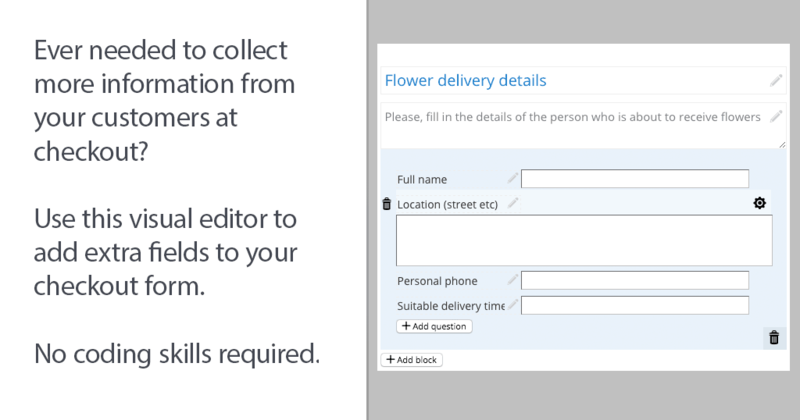 No coding required, simply install the app, add and publish extra fields – all within a few clicks. For your customers the fields will look like a native part of your shop. 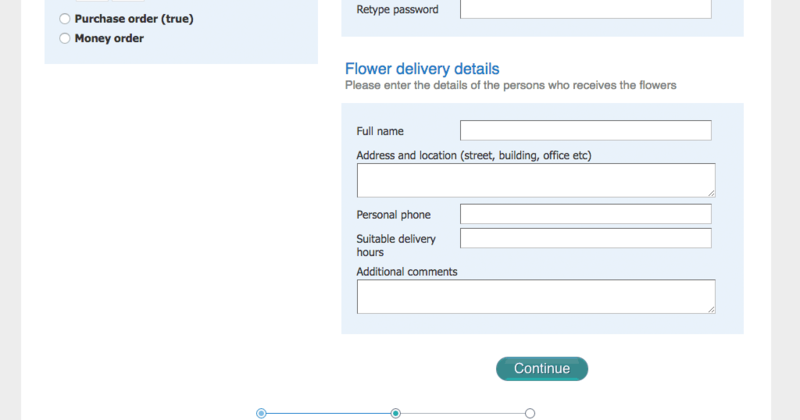 Filled forms are stored with your order details – you can see them in your sales list or in your email notifications.